Exclusive new T-shirts and Posters! – Zombies, Run! Exclusive new T-shirts and Posters! We’re excited to announce a new set of limited-edition T-shirts and posters, just in time for Halloween, available on our pop-up Teespring store! Our amazing artist, Estee Chan, created the designs, available as tees, hoodies, and even on sweat-wicking athletic gear! The zombie horde is on your heels and no-one is safe. Can you stay ahead of the pack and bring hope to the people of Abel Township? 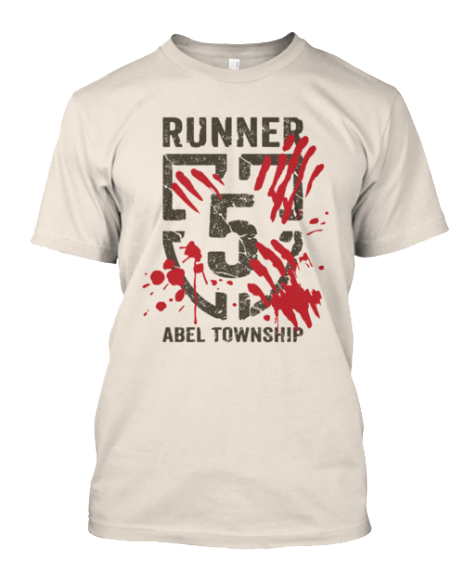 And back due to popular demand is the ‘blood spattered’ Runner 5 tee, which makes for a fantastic (and let’s face it, pretty easy) Halloween costume! 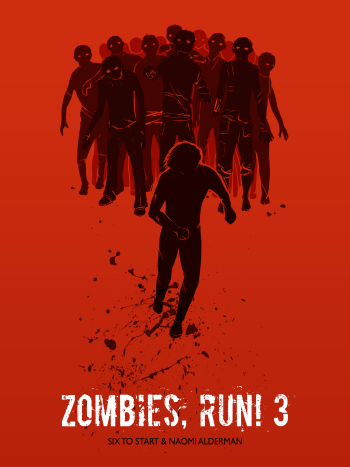 Finally, we’ve created a limited-edition Zombies, Run! 3 poster! Check out the Zombies, Run! Teespring store for full details on all of this gear, including sizing and colour info. 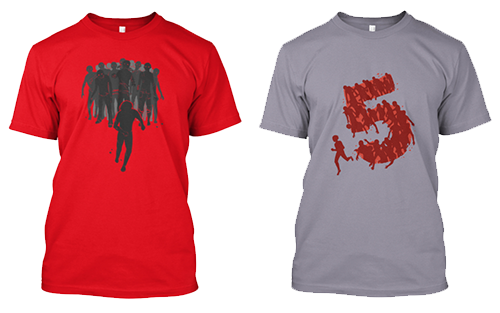 Be quick, though: these designs will only be available until October 14. After that, there’s no guarantee we will be offering them again! US orders should arrive before Halloween!